Mike Matola makes script art — writing out full movie scripts, albums and books to create portraits of people. He’s done Back To The Future, Ghostbusters, and even My Neighbor Totoro in the original Japanese. 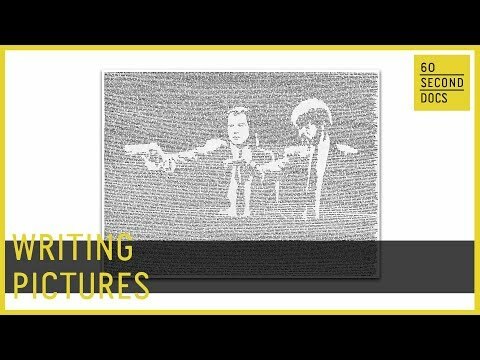 With only a stencil and the pen in his hand, his art is by definition handwritten.